If you’ve been following my exploits on Twitter, Facebook or Instagram, then you’ll know I’ve been doing a lot of running around since publication of my tenth novel, That Girl From Nowhere. On publication day I went with one of the lovely peeps from my publishers to see Claudia Winkleman, Donna from Radio Gorgeous and Mariella Frostrop. I’d also popped into Magic FM just a week before to see fab Jo for the Magic FM book club. 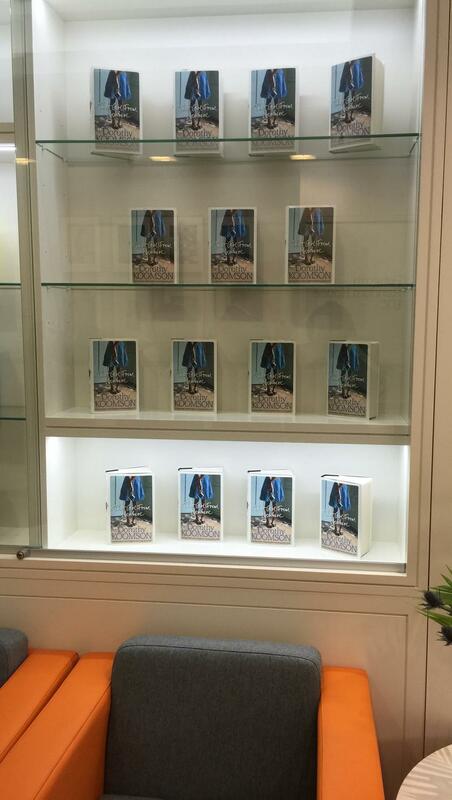 After lunch and the radio chat, I also went to my publishers to see the lovely peeps who worked on the book and was greeted with this wonderful sight in the entrance. That was pretty overwhelming, but when I was given this present I almost burst into tears. I’m still in awe at how appropriate and beautiful it is. 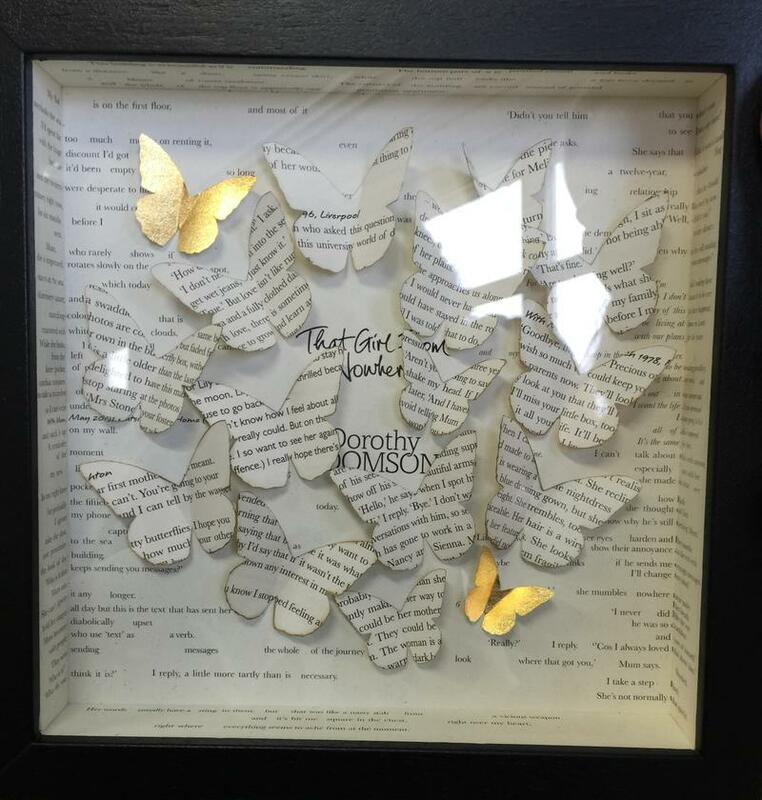 It’s a butterfly box with pages from the book. I can’t describe how it made me feel to get it. After what turned into a hilarious night out, I had a series of reader events scheduled at which I read from the book, answered questions and signed anything readers asked me to. The first event was at Hove Library where I was interviewed by Sue-Kim Greene. The next night I was up in Bishops Stortford where again I was bowled over by how many lovely readers there are out there. Everyone was so friendly and welcoming. After a few days of rest, I hit the rails again with a three-day trip, with first stop being Birmingham. I was on BBC Radio Scotland and then I had afternoon tea with Shay and Sunny at BBC Radio West Midlands. We had such a laugh and I may have mentioned that the way Sunny and Shay relate to each other reminded me of my relationship with my husband – didn’t realise that my other half was listening to the show via the wonders of the Internet. (‘I heard every word,’ was what he said when I called him after the show.) I also ran into super delightful Talesha who was working on the show. I met her years ago at my first ever Birmingham event and before I hit the road this time I said to my husband I was wondering if I’d see her again and there she was. She’s done so well for herself (if I can say that without sounding patronising). Also at the event in Brum, I saw some people who’d been to my last two events and it really was like seeing old mates again. The Birmingham event was organized by Writers to Readers. If you’re near there, do follow them on Twitter, like them on Facebook or sign up for their newsletter as they’ll be having lots of more author events. The next day Emma, my publicist and I, went to Sheffield and met the amazing Paulette Edwards on BBC Radio Sheffield. I had no clue that the snooker was on while we were in Sheffield – not till Steve Davis walked past me. He looks exactly the same in real life. The event at Sheffield Library where I was interviewed by Joanne Canon, was another success in that I didn’t fall over, don’t think I embarrassed myself and I met lots of great people including a few who’d been to previous events. The visit to Sheffield was followed the next day by a trip to Leeds. If you’ve read any of my books, you’ll know that there’s always a mention of Leeds because I lived there for several years. It was very emotional walking around the city centre, remembering the places I used to visit, how I felt, not knowing what life was going to throw at me next. After another wonderful event later at Waterstones Leeds, and we headed off back home. 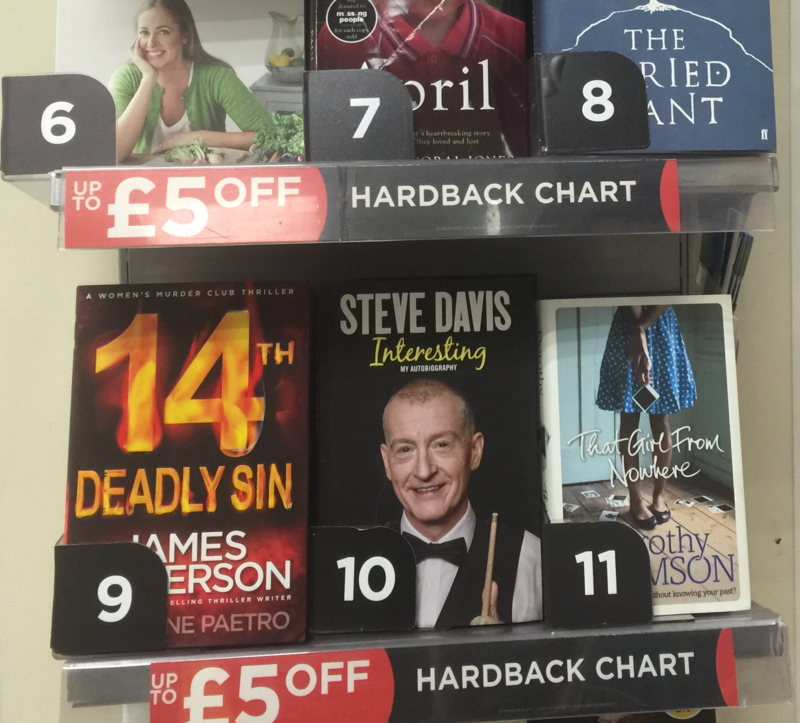 Seeing this at Leeds station before I got on the train, was a pretty darn perfect surprise. Thank you, if you came along to any of the events. Maybe next time if you couldn’t make it this time. I had a fabulous time travelling all over, and I can’t wait to do it again, soon. PS If you’d like me to participate at an event in your area, the best thing is to ask your local library or bookshop to put a request in via my publicist Emma Draude at EDPR and she’ll see if we can work it out.